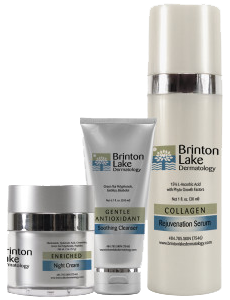 Developed in conjunction with a top pharmaceutical team, our Brinton Lake Dermatology skin care line is a results-driven group of products that are hypoallergenic and non-comedogenic (will not block pores). These special formulations contain the highest quality ingredients such as green tea polyphenols (powerful antioxidants). The growing line includes facial washes and cleansers, treatment pads and collagen rejuvenation serum. Check back periodically to see what new and exciting product has been added! 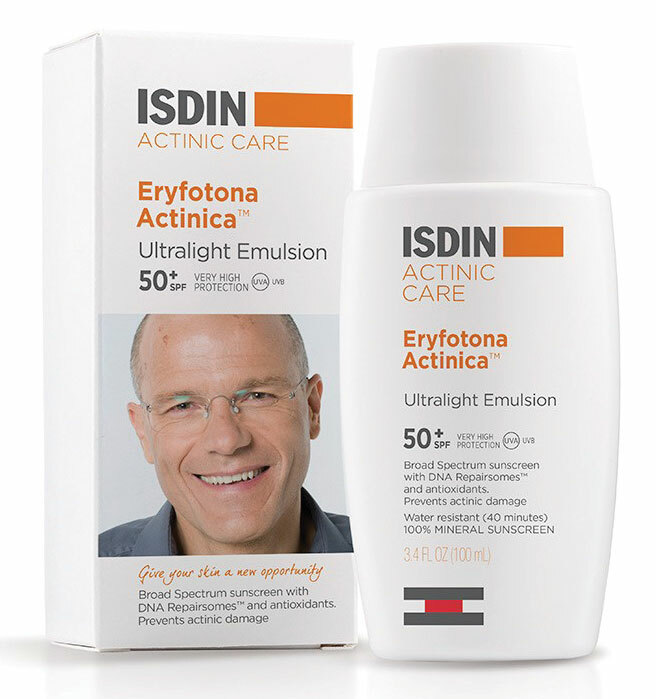 ISDIN’s Eryfotona Actinica™ is a European sunscreen and treatment that prevents and repairs actinic damage, pre-cancerous lesions that indicate a greater risk of developing skin cancer. It’s specifically recommended for daily use on the hands, face, neck and décolletage. By helping prevent and repair cell damage, this sunscreen also slows down visible signs of aging like brown spots, wrinkles and sagging. 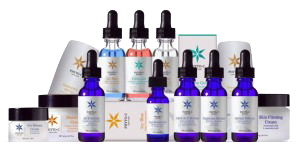 PhytoCeuticals products are the gold standard in patented skin care serums. Dr. Mostafa Omar holds the patent for his revolutionary skin care serums and formulations – formerly marketed by IS Clinical – which are now sold by his new company, PhytoCeuticals. His rigorous research and development efforts over the past 20 years resulted in the first-ever stabilized Vitamin C concentrate in liquid form. By blending the Vitamin C concentrate with various natural ingredients derived from plants and herbs, he has created some of the most advanced and effective skin care formulations available today. Fans of the IS Clinical serums can rest assured that although the packaging and name on the product is different, these are the original formulations developed by Dr. Omar and they will continue to produce the amazing results we’ve all come to expect! Nanotechnology is revolutionizing the way innovative cosmetic pharmaceuticals deliver youthful hydration through the deep layers of the skin. Brinton Lake Dermatology carries several products from the Hyalogy™ P-effect skin care line. The advanced infiltration created through nanotechnology lowers the product’s molecular weight. This allows for easy topical application of “nanoparticles” that penetrate through the dermis without the use of needles. Hyalogy’s main ingredient, hyaluronic acid, is a naturally occurring substance produced by the body that acts as a natural filler in the dermis between the collagen fibers. This gives skin its volume and fullness. Latisse® is the first and only FDA-approved ophthalmic solution (bimatoprost) promoting fuller, longer, darker eyelash growth. It is a once-a-day treatment applied to the base of the upper eyelashes. Products in the Jan Marini® skin care line combine concentrated retinol, resurfacing agents, lightening technologies, and antioxidants to help limit the look of pigmentation, fine lines, wrinkles and adult acne. Use of the Antioxidant Daily Face Protectant guards against premature skin aging and skin cancer from sun exposure and can be used on all skin types. Elta MD™ is founded on the belief that the responsible and innovative application of medical expertise and science will change the way physician-dispensed skin care products treat people. The Elta MD™ sun care line includes a complete spectrum of sun care products, one for every skin type and unique need. From its beginning, Person & Covey, Inc., has worked closely with the medical community to develop high-quality therapeutic formulas, especially in the areas of sun protection and dermatological care. 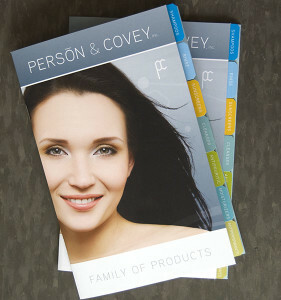 Recognizing that each patient is unique, Person & Covey products are crafted for use even by the most sensitive of users. For over 25 years, Revision Skincare has provided physicians with clinically proven, high-performing skincare products. Using only the purest, most efficacious ingredients, the Revision Skincare collection was formulated to provide targeted solutions for enhancing skin’s appearance and reducing signs of aging. “Fight the Droopy Neck” with Revision’s specially formulated neck cream, Nectifirm®, or diminish and conceal under-eye circles and puffiness with their Teamine® Eye Complex and Concealer. Ward off aging effects of sun damage with Intellishade® anti-aging facial moisturizer with sunscreen. A 50-year journey through the Cévennes Mountains in the Southwest of France allows the thermal spring water in Avène to acquire a perfectly balanced mineral composition. As it courses through underground reservoirs, the thermal waters are gradually enriched with trace elements and silicates. These healing concentrations are the foundation for all Avène skin care products.